Who knew that there was such an X-MEN:TAS-friendly day? Not me. Whose heroes are more super than ours? You can go back to Homer and the Bible, and our team of misfits holds its own. Thousands of superheroes have come and gone over the millennia; the best struggle and suffer great tragedy. Compelling interest in larger-than-life myth and legend endures. A superhero’s gotta do what a superhero’s gotta do. Here’s thanks that the heroic ideal has survived all these years and that, through the X-Men, we were able to participate in the storytelling. Happy National Superheroes Day. We were pleased to see this morning that the web was buzzing with the news that “The Dark Phoenix Saga” is to become Fox’s tenth X-MEN movie. Among the 76 episodes that we produced for X-Men:TAS, this was one of only three stories we were asked to directly adapt for the screen (along with “Days of Future Past” and “The Phoenix Saga”). There is always a challenge when adapting an admired or beloved story: fans have expectations. 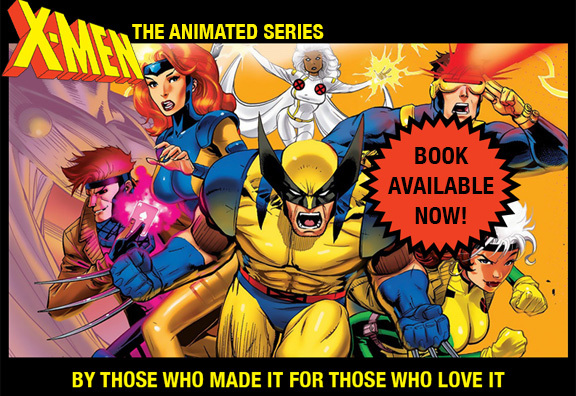 For our 88-minute animated version, we greatly streamlined — paring away interweaving stories within the run of books (#129-137) — concentrating on Jean and the X-Men’s effort to save her. I’m curious how the feature folks will tell the story in a 2-1/2 hour movie. It’s funny to look back and realize that on kids TV we couldn’t even call the villains “The Hellfire Club” as the comics did (network censors), and we surely couldn’t have Jean/Phoenix devouring inhabited planets. But we were allowed great spectacle, and, more important, great emotions among the X-Men team as serious sacrifices were contemplated. Here’s hoping the new “Dark Phoenix” takes the story even further.